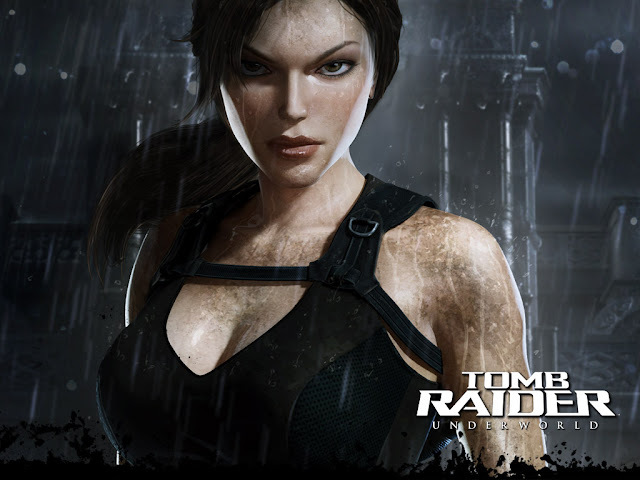 Tomb raider 2013 is an upcoming action adventure genre game .Tomb raider 2013 is the fifth game in the sequel developed by crystal dynamics and published by square e nix .The game re emphasis old Lara croft .Tomb Raider is all set to release on PC, PS3 and Xbox 360 March 5.This would become the first game to in the series to get "M" rating .Also it would be the first one to be rated 18+ by pan European game information. Lara travels on the ship Endurance commanded by Conrad Roth. When the ship is struck by a violent storm and split in two, Lara and many other survivors are stranded on an isolated tropical island in the Dragon's Triangle. Lara has to find food and water to survive, fighting off the more dangerous animal inhabitants and trying to trace the other survivors. But a darker threat awaits as she is forced to harden herself against killing people in order to fight a group of malevolent mercenaries who seek to kill her and her companions. This game would release with multiplayer capapbility. Fourth episode of Tombraider went live on YouTube. According to the game's developers, there will be three types of games for multiplayer, played in five different maps. Many things available for the single-player campaign, are also added into multiplayer. In each game, there are two enemy teams: Four survivors and four scavengers, and they either try to eliminate the opposite team or attempt to bring medical supplies to certain points in the map. The player can also set traps or activate special features, according to the map the game is set in.